One of the most famous dishes from Japan is Tonkatsu, a kind of cutlet. A lot of people eat it because it is crispy and tender, and its special sauce adds a lot of flavour. In Japan, there are Tonkatsu houses that specialize in just making the dish. Luckily, there is a restaurant that is like a Tonkatsu house in Coquitlam. The Dae-ji Cutlet House is a few minutes away from the David Lam Campus and is near Coquitlam Center. The restaurant has a variety of cutlets to choose from. They not only have pork cutlets, but they also have chicken cutlets, fish cutlets, and hamburger steaks. The cutlet can be eaten by itself, or served with a curry. 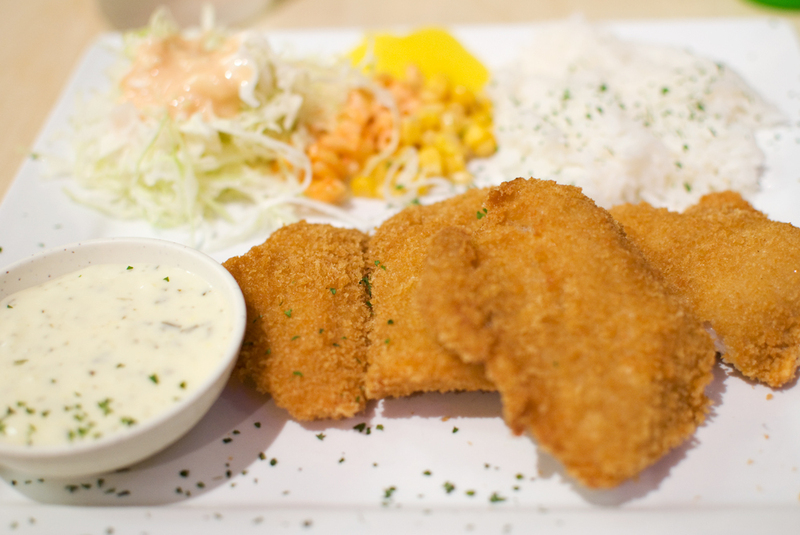 Most cutlets include rice and a salad and some of them even include miso soup. They also have special cutlets including a cheese pork cutlet, a pizza pork cutlet, and a cheese kimchi pork cutlet. I ate the pork cutlet under curry, with rice, a salad, and miso soup―one of the restaurant’s lunch specials. The pork cutlet was crunchy and tender. The curry was good and a bit spicy, and tasted great when eaten with the pork cutlet and rice. The flavours of the pork cutlet and the salad complement each other, like eating Tonkatsu with lettuce. One of their famous dishes is Volcano Chicken, which is deep fried chicken marinated in a spicy sweet and sour sauce. Delicious! The cutlets at Dae-ji Cutlet House are so good, that you will surely come back for more! The Dae-Ji Cutlet House is located at 128-1153 The High Street in Coquitlam.